More and more Saudi nationals are buying homes. There has been a slight increase in the number of Saudi families owning homes across the kingdom, according to the data released by general statistics and information department of the Ministry of Economy and Planning. The total number of homes owned by Saudi nationals has increased to 62 per cent over the previous year, said the report citing data for 2011. In capital Riyadh, where 45 per cent of the nationals live in rented houses, the number of homes owned by Saudis has surged by three per cent to reach 48.3 per cent, reported the Arab News, citing the census data. According to the report, only 6.2 per cent of families receive accommodation from employers, whereas 0.6 per cent of the families living in Riyadh come under other categories. 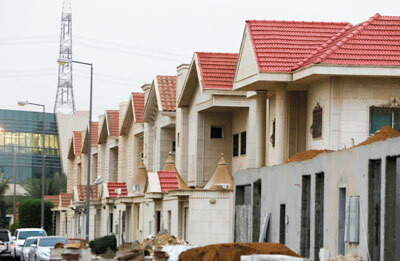 In cities like Dammam about 42.4 per cent of the nationals have their own homes, while in Jeddah it is 42.6 per cent. In Makkah and Madinah, the ratio is 54.4 per cent and 55 per cent respectively, it added.